The Public Services Ombudsman (Wales) Bill, which aims to make public services more accountable to the people of Wales, passes its final stage. Senedd Live returns on Tuesday 26 March. The topic chosen by Paul Davies (Preseli Pembrokeshire) for the Short Debate, is "Fighting for Future Services – the case for protecting services at Withybush hospital". In September last year Hywel Dda health board backed plans which will see Withybush, Haverfordwest and Glangwili, Carmarthen lose round-the-clock A&E services. It came amid fears services are spread too thinly and could collapse because of rising demand and severe staff shortages. But a new hospital would be built between Narberth and St Clears. Paul Davies says, "following news that the health board is planning to build a new hospital between Narberth and St Clears, it became clear that this would result in there being no fully functioning A&E service at Withybush Hospital but rather a minor injuries unit serving the area instead. That is simply unacceptable to the people that I represent. "In fact, Members will remember the enormous petition raised by local campaigner Myles Bamford-Lewis objecting to the removal of A&E services from Withybush Hospital, which gathered over 40,000 signatures. "That is a hugely significant statement, which makes it abundantly clear that the people of Pembrokeshire will continue to oppose the downgrading of services at Withybush Hospital. And those 40,000 voices deserved to be listened to." 2. Calls on the UK Government to make fair transitional state pension arrangements for all women born on or after 6 April 1951, who have unfairly borne the burden of the increase to the state pension age (SPA) with lack of appropriate notification. AMs pass the Plaid Cymru motion in support of Kurdish hunger striker İmam Sis, from Newport, saying PKK leader Abdullah Öcalan is imprisoned under conditions "understood to contravene the Turkish state’s legal obligations in relation to human rights". There were 25 for, 14 abstentions and 11 against. The Public Services Ombudsman (Wales) Bill passes Stage 4. There were 46 for, three abstentions and one against. Focus on complaints handling standards and procedures. Jane Hutt, Deputy Minister and Chief Whip, says the Welsh Government supports the Plaid Cymru motion, and will continue to make representations to the UK government in support of the WASPI campaign. Several AMs, including Labour's Joyce Watson and independent AM Caroline Jones, declare they have been directly affected by the raising of the state pension age for women born in the 1950s. Mark Isherwood moves the Conservative amendment that says that "successive UK governments have communicated with affected women since the changes to women’s pension ages since the Pensions Act 1995 and Pensions Act 2007 and that a public consultation exercise and extensive debates were undertaken in Parliament in relation to additional increases to the state pension age in 2011". Plaid Cymru's Helen Mary Jones calls on the UK government to "make fair transitional state pension arrangements for all women born on or after 6 April 1951, who have unfairly borne the burden of the increase to the state pension age (SPA) with lack of appropriate notification". 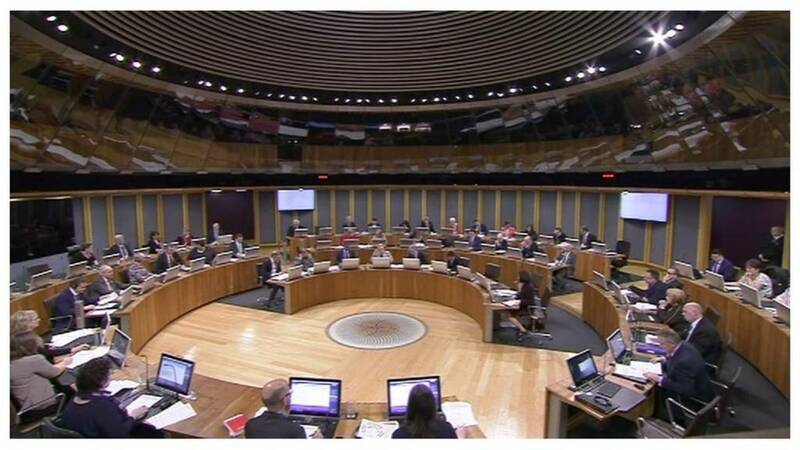 The party also calls on the Welsh Government to make representations to the UK government in support of the WASPI campaign, and calls on the Counsel General Jeremy Miles to "consider what action the Welsh Government could take in relation to the expected litigation against the Department for Work and Pensions for the alleged mishandling of raising the state pension age for women born in the 1950s". A campaign on changes to the women's pensions age comes to the assembly on Wednesday. The topic of the second Plaid Cymru debate is the Women Against State Pension Inequality (WASPI) campaign. 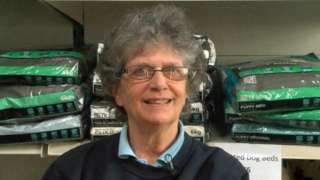 The campaign group was set up in 2015 on behalf of millions of women, born in the 1950s, who since 1995 have twice seen the start date for their state pensions pushed back. From 2018 the pension age will rise to 66, 67 and 68 for both men and women. Eluned Morgan, Minister for International Relations and the Welsh Language, says the Welsh Government is "extremely concerned about the worsening condition of İmam Sis". She says "the motion doesn't call on the Welsh Government to do anything for which we have responsibility. Foreign affairs is a reserved matter." She says the Welsh Government will abstain but is granting a free vote to Labour members. Labour's Mick Antoniw attacks the Conservatives' stance in this debate, stating "this is the same tactic the Tories used to support apartheid in South Africa, the same Tories that labelled Nelson Mandela a terrorist, the same Tories who wore 'Hang Mandela' t-shirts, only to faun over Nelson Mandela decades later despite doing nothing to secure his release". Conservative Darren Millar says "many will call into question whether it is good use of the National Assembly's time for us to be holding an opposition debate on foreign affairs and matters that are non-devolved". However, addressing the Plaid Cymru motion, his amendment calls on AMs to "condemn all terrorist acts perpetrated by the PKK and acknowledges the victims and civilians killed and caught up in their attacks," and to "acknowledge the right of Turkey to defend itself against terrorist attacks by the PKK". He says that that "the UK government’s Foreign Secretary and Her Majesty’s Ambassador to Turkey have emphasised to the Turkish government the need to respect human rights, avoid civilian casualties and return to the peace process". Plaid Cymru's Delyth Jewell says "the Welsh Government now has a Cabinet Minister for International Relations. "Surely it’s incumbent on the National Assembly and Welsh Government to recognise and support the part of a Newport man is currently playing in an international struggle for justice, equality and human rights?" Plaid Cymru has chosen to split their hour into two 30 minute debates. The first topic is the Kurds in Turkey. Plaid Cymru proposes the Welsh Government, on behalf of the National Assembly for Wales, write to the Committee for the Prevention of Torture calling on them to visit Imrali Prison to assess the conditions of Abdullah Öcalan, the Kurdish leader. The party says that Kurdish-Welshman Imam Sis from Newport has been on hunger strike since 17 December, and that he is currently living on vitamin B1 and B12 tablets, and one fresh lemonade a day, supplemented with herbal teas and salty water. 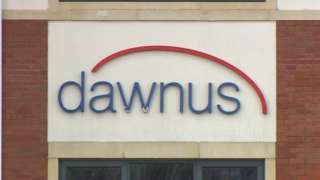 The Welsh Government is owed £1.5m by the Swansea construction firm which has gone into administration. Kirsty Williams, Minister for Education, sets out the response by the Welsh Government to the report. All the recommendations are accepted, or accepted in principle, except the final recommendation that is accepted in part. The response can be seen in full here. UKIP's Michelle Brown, a committee member, does not agree with the first recommendation calling for powers for Welsh Ministers that allow them to make spatially different immigration rules. Committee chair Lynne Neagle (Torfaen) presents the report, which has 12 recommendations. The first recommendation is that the Welsh Government "should proactively demand, via any future UK Immigration Bill, executive powers for Welsh Ministers that allow them to make spatially different immigration rules specifically for students and academic staff in Wales".